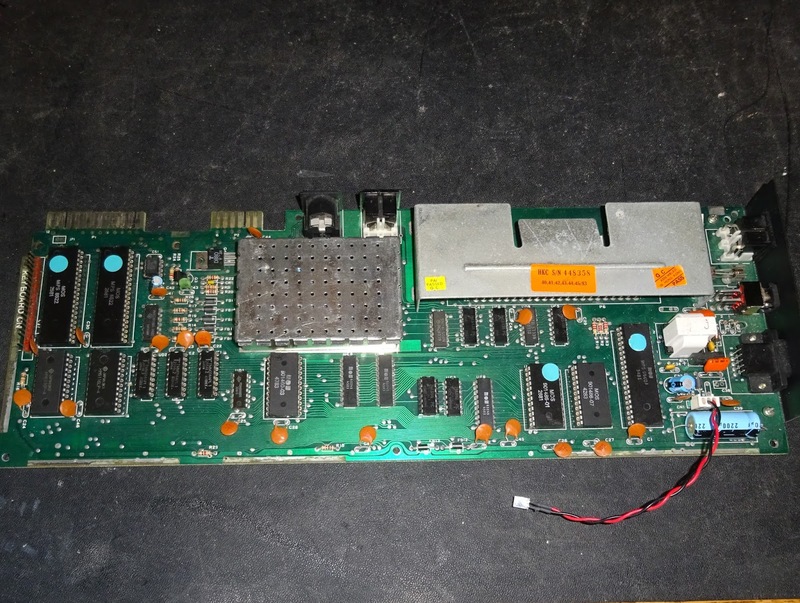 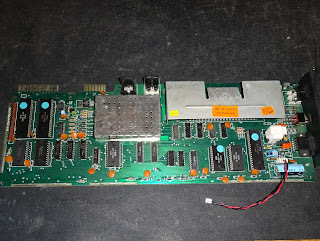 If you've got a VIC20 or a Commodore 64 and you want a simple disk drive replacement, the solution is fairly straight forward, you get an SD2IEC. 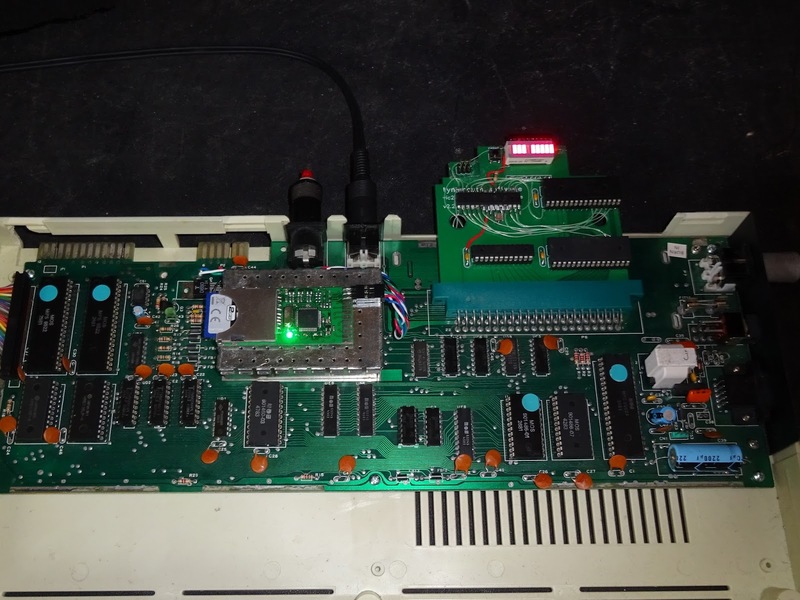 These are some very nicely packaged versions from The Future Was 8 bit, in a variety of shades to suit a range of Commodore machines. 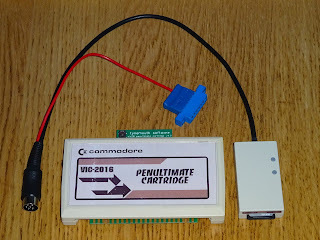 These work well with the new VIC20 Penultimate Cartridge, which can automatically start the file browser from its menu. 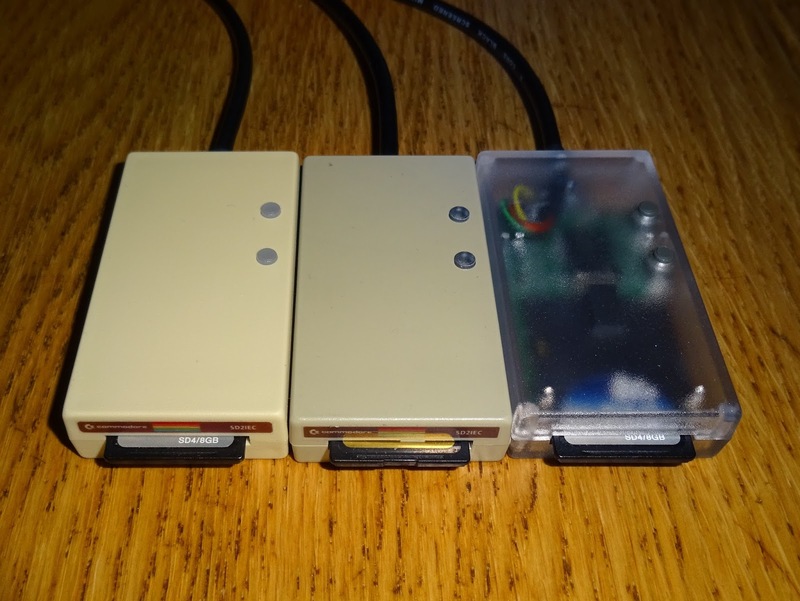 During the development I have been borrowing a clear SD2IEC from my clear cased C64C. 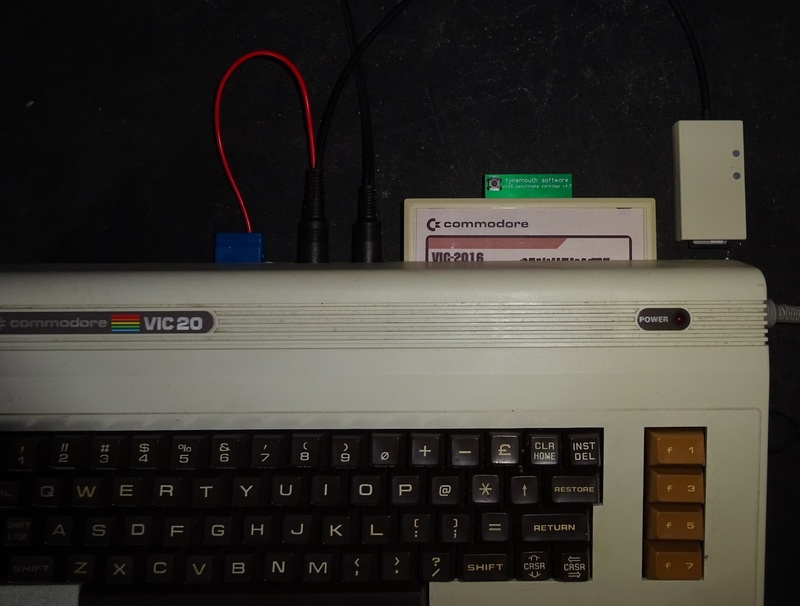 And also a nice VIC20 coloured one on my main VIC20, made out of recycled VIC20 cases. The VIC20 I was using for development wasn't one of my best. 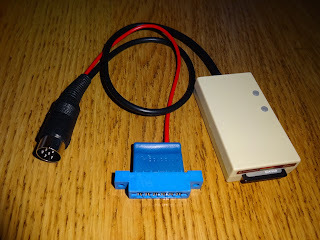 It arrived with one of those Commodore power supplies where the 5V was more like 7.5V, and many of the chips on the board had been fried. 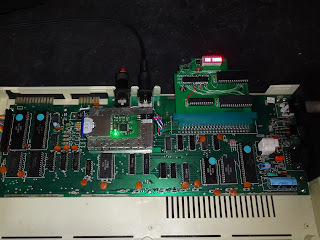 I had to replace most of the chips to get it running, but it's been a useful test machine since most of those chips were now socketed. 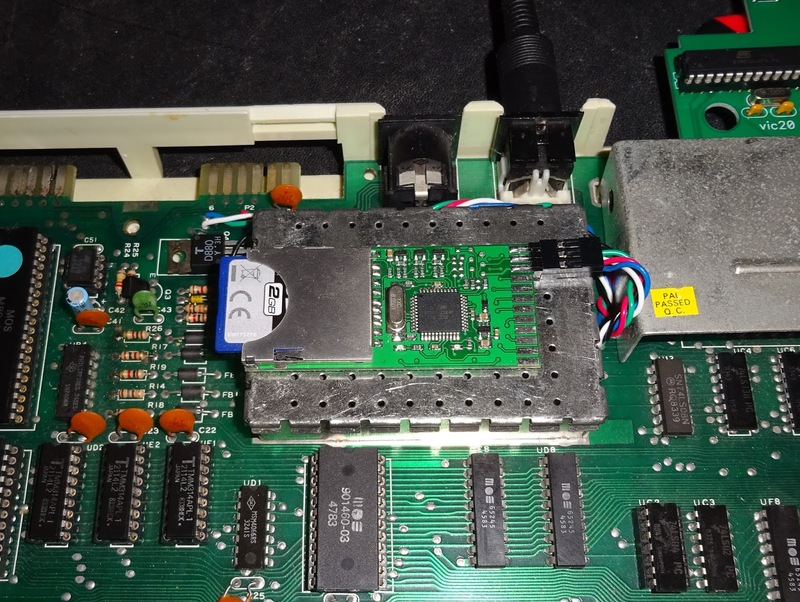 Something I've been meaning to do for a while was try out the idea of an internal SD2IEC, so I thought this would be a good candidate. 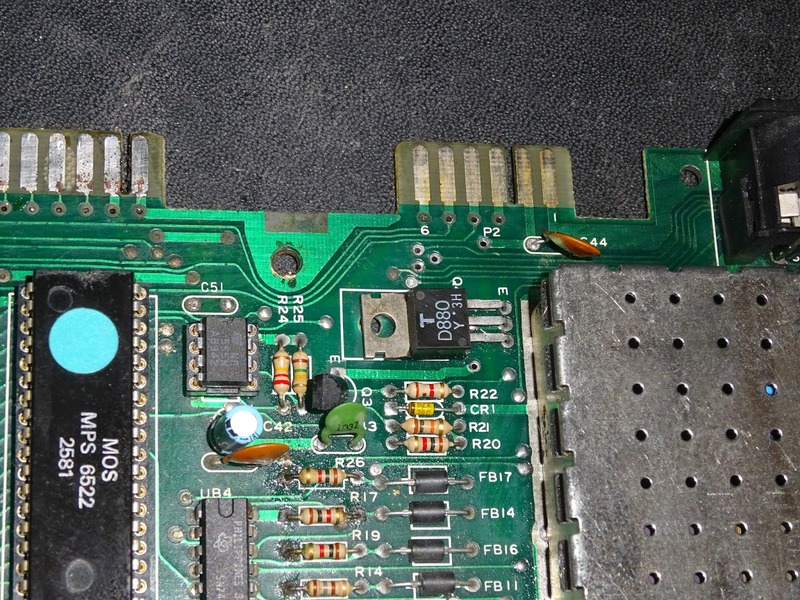 The internal SD2IEC boards (the SD2IEC Classic V1.0) are similar to those used inside the normal SD2IEC units, but without the buttons. 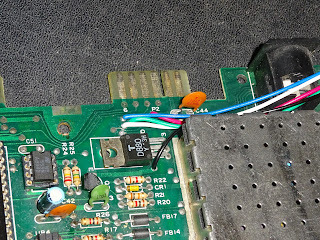 There are additional contacts at the edge of the board to fit buttons and duplicates of the onboard LEDs. 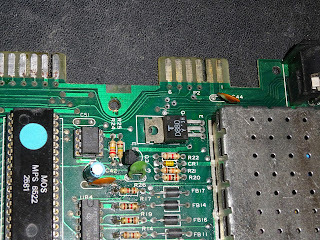 The only pins needed for the IEC bus are 6 at one end, so I fitted a 6 pin 0.1" header, soldered to each side of the board. 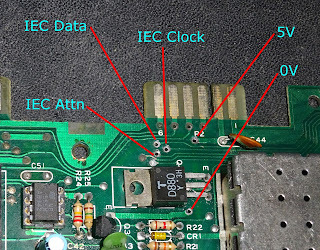 You could just solder the wires directly, but I thought this would be neater and would allow it to be removed easily if necessary. 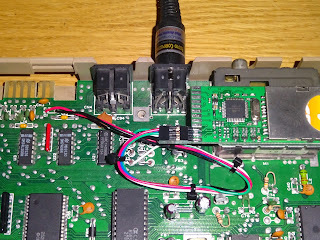 There are various points at which the wires can be attached, I chose a set of vias just before the 6pin DIN socket. 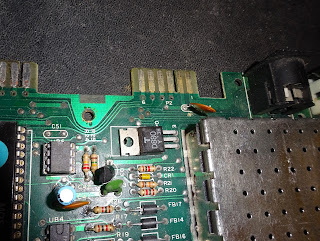 These were a bit tarnished, but with some desolder braid and extra flux they cleaned up nicely. I've marked the connection points, these are relevant to this revision of the board, the VIC20-CR 250403 / 251040-01 Rev D. Always a good idea to check continuity to the socket to make sure you have the right pins. 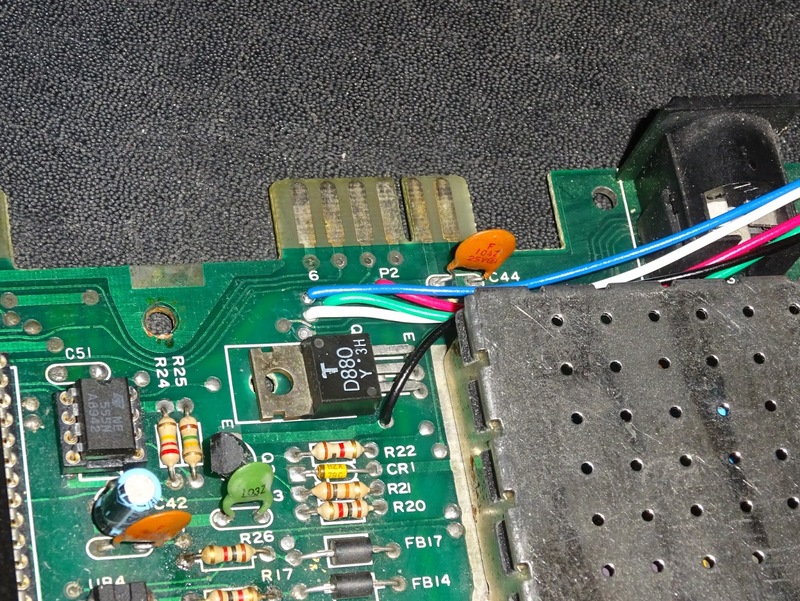 I've tapped 5V and ground at nearby vias and attached five wires to these five vias. 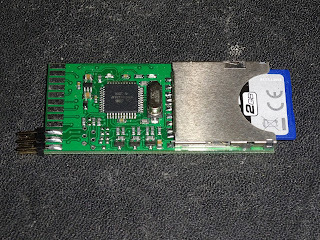 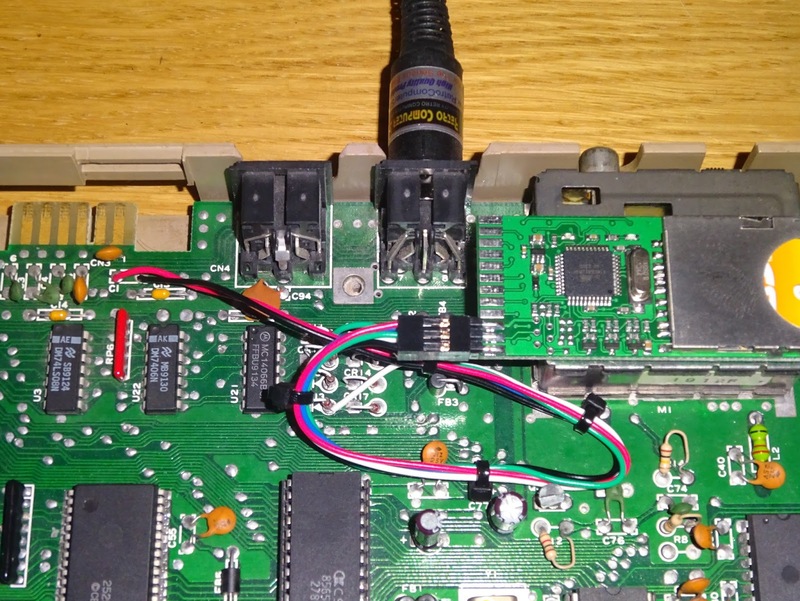 On the end I've fitted a 6 pin connector suitable to fit the 6 pin header (Harwin M20), and plugged this into the SD2IEC board. 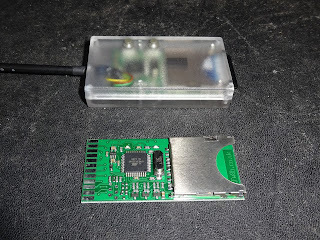 I was initially thinking of resting this between the DIN sockets and the VIC shielding, but in the end I've gone for attaching it to the lid of the VIC shield with foam pads. 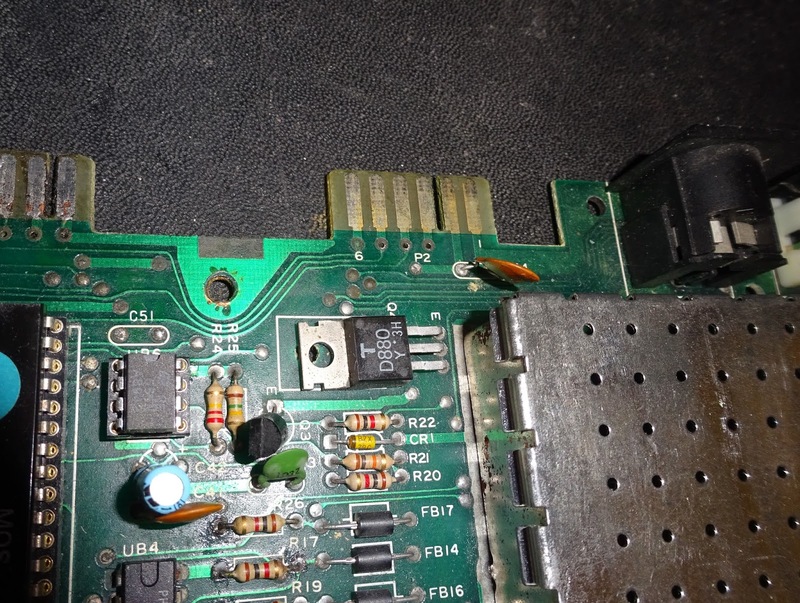 Making sure the contacts are clear of the metalwork. 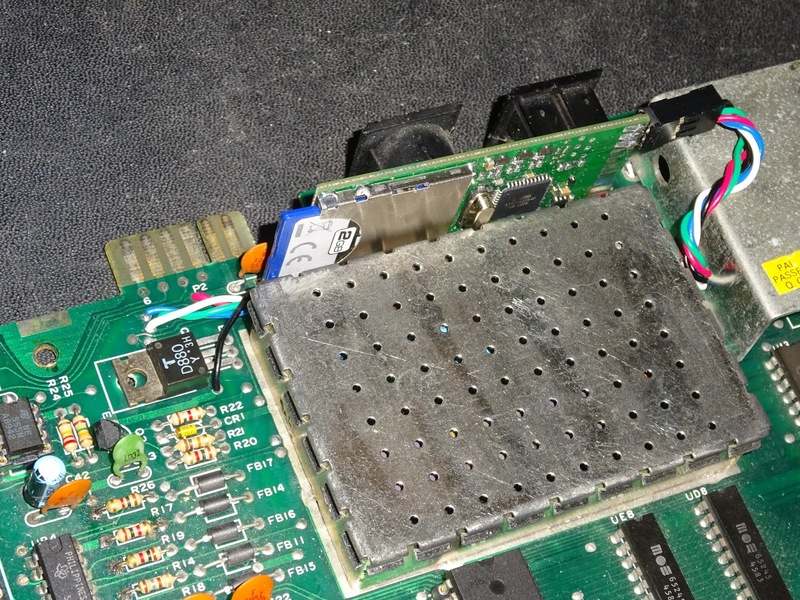 Testing this, the lights flash reassuringly and the file browser appears. If I were planning to close the case up, I think I would look at changing the VIC20's power LED for a tricolour one, red for power on and then amber for disk access. 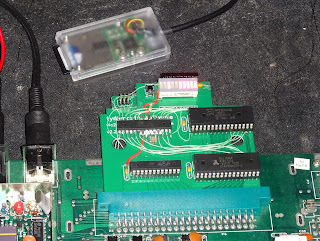 This one, however, runs mainly without a lid, with the prototype Penultimate Cartridge installed, so the onboard LEDs are fine. 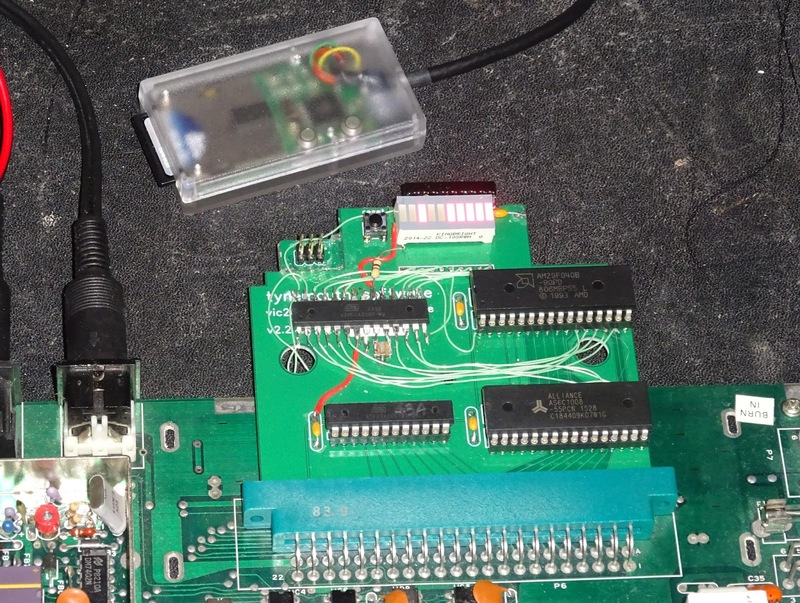 My bench is now a little tidier. 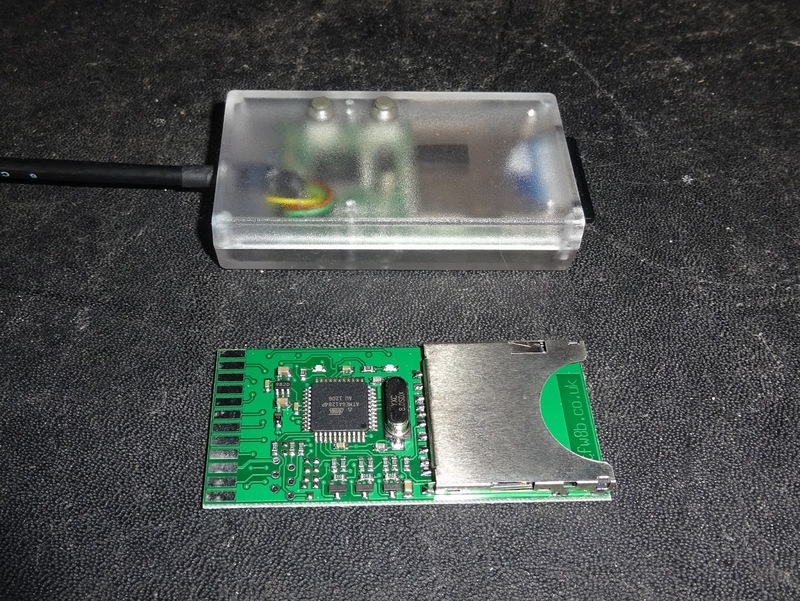 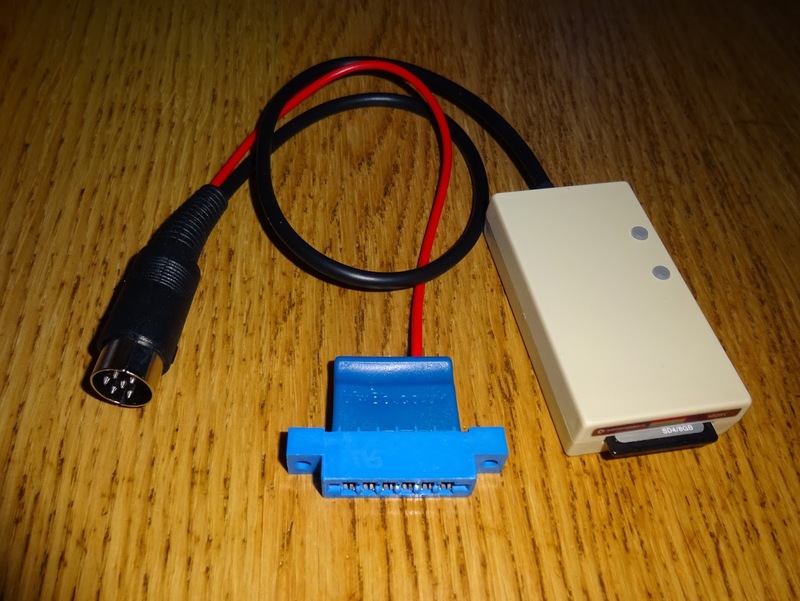 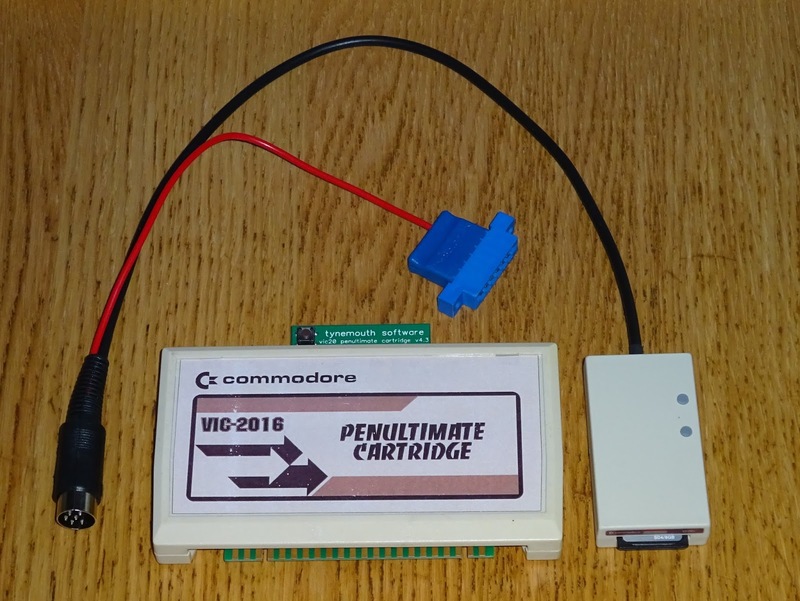 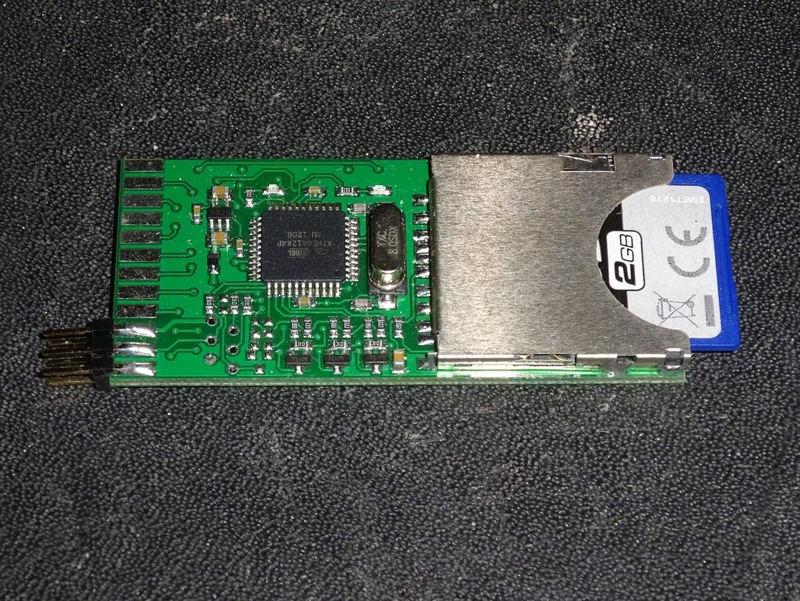 Update: an internal SD2IEC for a C64C.